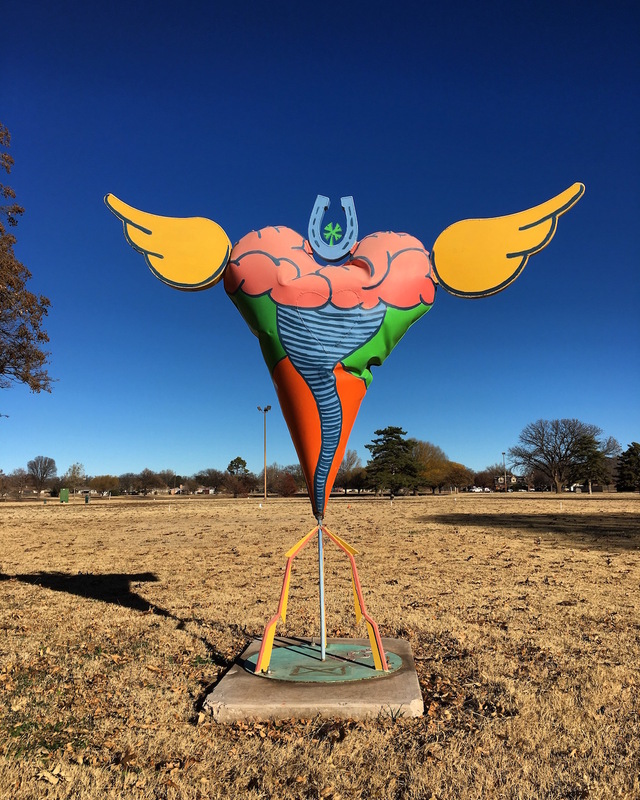 A sculpture at Higinbotham Park, which I called “The Heart of Texas” given there was no plaque at the base to tell me what I should call it. While walking in Higinbotham Park the last few days, the Girl and I pass this sculpture every time we round the track. One morning, I decided that an image of it would be required. Yesterday morning we stopped briefly to check the name of this sculpture, but the plaque was missing from the base. Therefore, I decided to call it The Heart of Texas for no good reason, other than that’s what came to me when I look at it.